If you want to get most reliable data? Use our bioresources! What are Bioresources (for first visitor) ? * Collection, preservation, quality-control and distribution of mouse resources useful for basic researches to understand the higher-order biological phenomena and to conquer human complex diseases. * Development of novel mouse resources which meet social and research needs and relevant technologies for preservation, distribution and quality control. * Contribution to the promotion of life sciences by offering training courses to disseminate advanced technologies for the best use and quality control of mouse resources in collaboration with global mouse repositories. * Collection, preservation and distribution of Arabidopsis resources that are indispensable for plant science. * Establishment of research infrastructure of Brachypodium distachyon, a model crop that contributes innovation in agriculture. * Development and propagation of plant cultured cells, DNA materials and related technologies that promote studies on the environment, food, and production of useful materials. * Collection and distribution of the following cells: cultured cell lines such as human cancer cell lines; stem cells such as ES cells, iPS cells (including disease-specifi c iPS cells) and human somatic stem cells; cells for human genome research. * Accepting donation and deposition of cells that have been developed by life science community, carrying out quality control of them, standardizing them, and distributing high quality cell materials to all scientists around the world. * Offering training courses of the technologies relating to cell culture, so as to contribute to the development of new technology such as human ES cells and iPS cells. * Cutting edge resources that can accelerate researches that contribute to the elucidation of higher-order biological phenomena and the cause of diseases, the development of medical treatment, the drug discovery research and/or the problems in environment: reporter vectors visualizing biological activity, effi cient gene transduction and expression vectors. 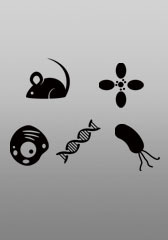 * Highly useful and convenient resources: variety of standard DNAs extracted from microorganisms, mice and cultured cells and ready-to-use expression vectors. 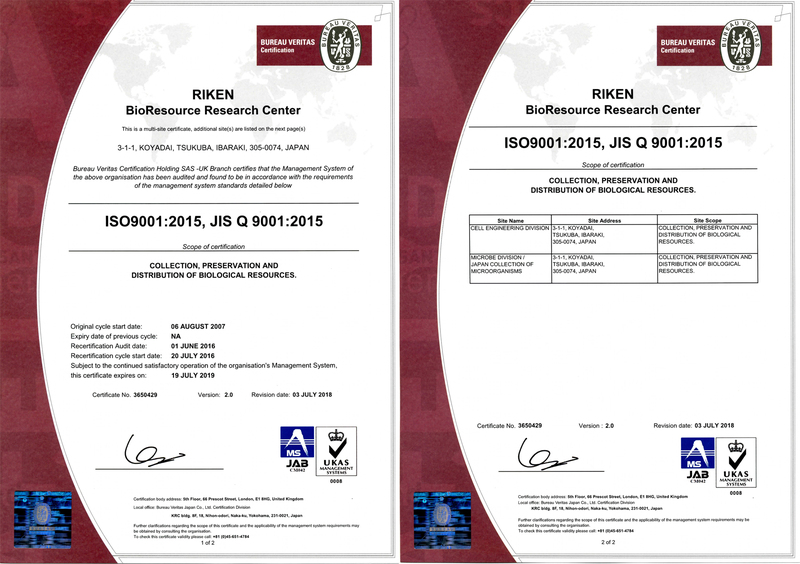 * Highly reliable biological resources with highest quality: quality tests under rigorous control and abundant literatures and information of biological characteristics. * Preservation and provision of scientifically important microbial strains representing diverse species of Bacteria, Archaea, and Fungi. * Collection of microbial bioresources that contribute to environmental and health science, enrichment of information of the strains in the database, and development of related technology. * Provision of reliable high-quality microbial cultures by intensive quality control with genetic and physiological tests and stable preservations. * Collection, analysis, management of bioresource information and its dissemination to research communities through the web-based catalogs. * Improvement of technologies for sharing and application of bioresouce-related information in the Internet. * Analysis and visualization of large-scale data to promote expanding uses and values of bioresources and contribution to solving various problems of human beings. * Nuclear transfer cloning: Establishment of an effi cient technique for production of cloned mice. A great leap to the practical use of cloning technology in mammals. * Microinsemination (sperm injection): Production of normal mice using not only normal mature spermatozoa, but also immature spermatids and spermatozoa retrieved from frozen mouse bodies. * Cryopreservation of embryos and germ cells and their transportation: Development of embryo cryopreservation techniques applicable to a variety of mouse strains. Safe transportation of vitrifi ed embryos in dry ice packages to avoid the use of dry shippers. * Establishment of new stem cell lines: Mouse ES cells with different characters and different origins. Rabbit ES cells and iPS cells with potential usefulness as new experimental models. * Technical training courses: Cryopreservation of mouse sperm and embryos, and establishment and maintenance of mouse embryonic stem cells. * Technology development for functional genomic analysis: methods for high resolution genotyping and genome manipulation utilizing high quality BAC genomic resources. * Technology development for characterization of embryo-derived stem cells and germ cells: analysis of molecular and epigenetic features of these cell types using novel imaging techniques and genomic analyses at single-cell level. * Technology development for bioimaging: analysis of cellular behaviors and functions in vivo utilizing an intravital microscope equipped with novel stick-type lenses. * Systematic and comprehensive phenotypic analyses for genetically-modifi ed mice based on the fundamental and in-depth pipelines in the Japan Mouse Clinic. * Contribution to international mouse phenotyping project through the participation to International Mouse Phenotying Consortium (IMPC). * Intellectual infrastructure for the mouse resource through the integration of mouse phenotype information with the related clinical data on human diseases. * Development of new phenotyping methods to analyze mouse resources. * Leading drug discovery technology that will open a avenue for new medicines. * Using iPS cells of BioResource Center to develop infrastructure technology for drug discovery and medical study. 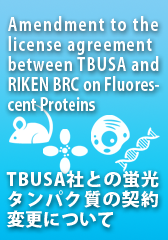 * Bridging RIKEN BRC and academia/industry in the fi eld of translational iPS cell research. 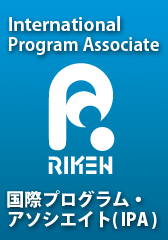 * Engage in the development of drug discovery researches using disease-specifi c iPS cells of RIKEN BRC cellbank at Keihanna in collaborating with the Cell Engineering Division, and Center for iPS Cell Research and Application (CiRA), Kyoto University. 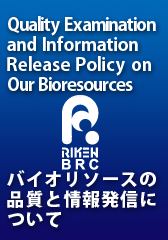 * Advanced characterization (e.g., pluripotency and genome) of disease-specific iPS cells deposited in RIKEN cell bank. * Development of modified (e.g., mutation-corrected, mutation-introduced, and reporter-introduced) iPS cells using genome-editing technologies. * Development of differentiation system and disease models using disease-specific iPS cells deposited in RIKEN cell bankcollaborative researches with domestic and international research communities. * Development of mouse models faithfully recapitulating genomic mutations and pathology of designated intractable diseases or diseases of the aged based on the patients' genome information by the genome modification technology. * Analyses and evaluation of the mouse models through the standard, disease-specific and ageing-specific phenotyping platforms of the international standard. * Establishment of POC in preclinical studies by investigating disease mechanisms and pharmacokinetics in collaboration with experts. * Provision of disease models with useful information for diagnosis, therapies and drug discovery to biomedical research community. * Elucidation of the symbiosis between plants and rhizosphere microbes including mycorrhizal fungi. * Construction of bioresources and experimental systems of experimental plants and rhizosphere microbes for the symbiosis studies. * Contribution to building a sustainable solution for world food and environmental problems through collaborative researches with domestic and international research communities. Feel free to consult with our technical experts. RIKEN BRC will be closed from April 27 to May 6 in 2019 due to the extended national holidays as a celebration for the Japanese New Emperor's ascension to the throne. Sorry, our web servers were not connected to internet. 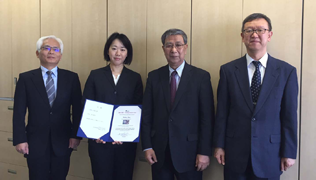 We are pleased to announce the appointment of Dr. Toshihiko Shiroishi as Director of BioResource Research Center from the 1st April 2019. 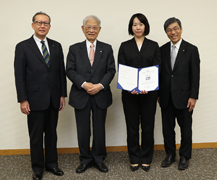 "Contribution to the quality control of plant resources through the development of genotyping technologies"
FY2018 RIKEN Technology Incentive Award was given to Ms. Yukie Aso of Experimental Plant Division, with the certificate and award from President Hiroshi Matsumoto, Executive Directors Shigeo Koyasu and Shigeharu Kato. Mouse models are valuable tools to understand genes functions, genetic diseases and to develop and test new therapeutic treatments in vivo. The ability to introduce tailored modifications within the mouse genome is essential to generate them. The CRISPR/Cas9 system has brought new perspectives for the generation of mouse models in a more efficient and precise fashion, at reduced price, all within a shorter time scale. We are developing protocols for the production of increasingly complex alleles. Alongside the generation of mutants, their validation represents a new challenge that is essential to meet to ensure research reproducibility. We will present our recent developments of processes for genome engineering. We will also show the first results of a new pilot for the use of the long-read sequencing for founder screening and model validation. With new processes for allele validation, we uncover further variability in the outcome of applying CRISPR/Cas9 to the modification of mouse early embryos. This includes discrete sequence changes, the generation of larger than expected deletions and chromosomal rearrangements. 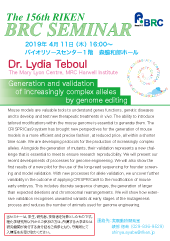 We will show how extensive validation recognises unwanted variants at early stages of the mutagenesis process and reduces the number of animals used for genome engineering. This seminar is intended for students and researchers/ engineers only. 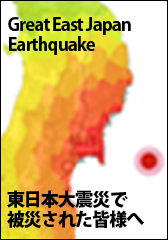 If you are students/researchers outside RIKEN, please show your ID at the gate and get the permit for the entry. The function of the majority of the genes in the human and mouse genomes remains dark. A major challenge for biomedical sciences is to build a comprehensive understanding of gene function that will support studies of rare and common disease and underpin advances in precision medicine. 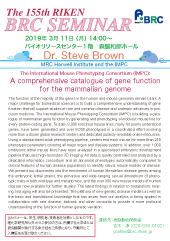 The International Mouse Phenotyping Consortium (IMPC) is building a catalogue of mammalian gene function by generating and phenotyping a knockout mouse line for every protein-coding gene. To date, 8,000 knockout mouse lines, many for poorly understood genes, have been generated and over 6,000 phenotyped in a coordinated effort involving more than a dozen global research centers and dedicated publicly-available online resources. Using a standardized adult phenotyping pipeline, centers test each mouse for more than 250 phenotypic parameters covering all major organ and disease systems. In addition, over 1,000 embryonic lethal mouse lines have been analyzed in a specialized embryonic development pipeline that uses high-resolution 3D imaging. All data is quality controlled and analyzed by a dedicated informatics consortium and all abnormal phenotypes automatically compared to clinical features of human disease populations to identify robust mouse models of disease. We present our discoveries into the enrichment of human Mendelian disease genes among the embryonic lethal strains, the pervasive and wide-ranging sexual dimorphism of phenotypic traits in both wild-type and mutant mice, and the over 300 new mouse models of human disease now available for further studies. The latest findings in relation to metabolism, hearing and aging will also be presented. The plethora of new genetic disease models as well as the basic and translational knowledge that has arisen from our analysis is being applied in collaboration with rare disease, biobank and other consortia to provide a more profound understanding of the function of human genetic variation.